Aging and weight loss affect your neck area, and you may show signs of sagging skin and other issues on your neck earlier than your face. A neck lift helps by tightening and smoothing the skin. The surgery may be performed as a standalone procedure or in conjunction with a facelift. The best candidates for neck lift surgery are men and women who understand how the procedure provides anti-aging benefits. A neck lift may involve one or two techniques, depending on the needs of the patient. A cervicoplasty removes excess loose skin, and platysmaplasty tightens the underlying muscles and is most often recommended to address muscular banding. Candidates for neck lift procedures are in good health and able to undergo surgery, as well as being prepared emotionally for the procedure. Men and women who are looking for ways to look younger often overlook the neck area, but improving the area greatly affects your overall appearance. Understanding how neck lift surgery is performed helps you prepare for the procedure and recovery. Neck lift surgery takes two to four hours, and we use general or local anesthesia based upon the extent of the surgery. For the cervicoplasty, and incision is made under the chin. The loose skin is pulled taut and trimmed, and we close the incisions with sutures. Incisions for platysmaplasty start in front of the earlobe and extend down and around the natural ear crease to the scalp behind the ear. We tighten the muscles and hold them in place with dissolvable sutures. Liposuction may be performed at the time of your neck lift to remove any pockets of fat that give your neck a bumpy or uneven appearance. The results of your neck lift may last up to ten years. You will need to manage your weight to prevent fat from developing in the area. When the incisions first heal, you may have pink or brown scar lines. These will fade over the first year, but the scars will not disappear completely. Williamsburg Plastic Surgery will position the scars in a way that make them difficult to see except upon close inspection. Your neck lift is an outpatient procedure, so you will be able to return home after spending some time in our recovery area. We prescribe medication for any discomfort, and this should help you rest comfortably. Bruising and swelling of the neck will occur for the first ten days. Elevating your head for the first 48 hours and applying cold compresses helps with these symptoms. You will need to keep your head still, avoiding any twisting or turning, for two days. We recommend that you have someone stay with you to help with routine tasks. You may be able to resume your activities and return to work after two weeks. Most of the swelling and bruising will be resolved within this time. You should avoid strenuous activities, including exercise, for four to six weeks. Does your neck embarrass you? 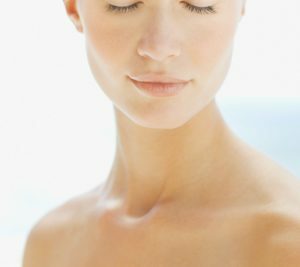 Neck lift surgery restores a more youthful appearance by removing excess skin and fat, as well as tightening the muscles. To learn more about neck lift surgery, contact us to schedule a consultation. You can also contact our office in Williamsburg directly at (757) 345-2275.